Now you may have seen my recent video where I show you the lipsticks (and one sneaky little lip liner) that I bought recently from the new Retro Matte collection from MAC. Having now had them for a week or so I thought it about time I reviewed them as I have been using them pretty much constantly. Ok, ok so I didn't do the right thing and buy all of them just for the purpose of being able to review every single colour. I had other stuff to buy. I'm not made of money. I did however buy three of them and am sorely tempted to return to get some more (namely Runway Hit, Steady Going and Flat Out Fabulous). I can tell you about the colours I have got and what I think - the formula will be the same for whatever colour you chose from the collection. First things first lets get the review of the lip pencil out the way. It's a Pro Longwear Lip Pencil from the Retro Matte collection so it has a new formulation and is definitely a bit softer than their other lip pencils meaning it does 'glide' on easier but it's almost too soft. Possibly just right, I'm still undecided. The colour, Dynamo, is a beautiful hot pink, a redish pink - a truly lovely colour for all you pink fans out there and would work well with any deeper pink lip colours as long as it's blended well and is so easy to apply that I would recommend it to anyone looking for a strong pink lip pencil. Big tick from me. So, to the lipsticks themselves. Now call me unadventurous but the colours I chose are All Fired Up, Dangerous and Relentlessly Red. Yes, yes all quite similar I know. So similar in fact that they are right next to each other in the online swatches* but actually very different and all beautiful in their own way. Dangerous is a bright, organgy red - Lady Danger's little, less bright sister - but dare I say it, it's a bit more wearable than good old LD. Relentlessly Red is a brighter red than the famous Ruby Woo (the inspiration for the whole collection) which everyone loves and just doesn't suit me. I think Relentlessly Red would suit everyone and because it's matte you could wear it to work and not feel too over the top. Now, All Fired Up. All Fired Up is my absolute new favourite lipstick. It's just beautiful - again the matte-ness of the lipstick makes this not too in-your-face but it is the most lovely dark, hot pink.Now don't get me wrong - you will stand out with these lipsticks but they are sophisticated colours that will bring out the glamour puss in you. If you don't like the feel of wearing lipstick then these probably aren't for you. 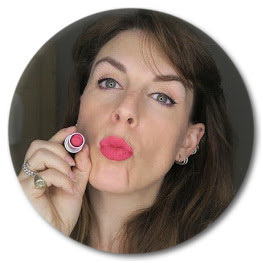 It's the very nature of matte lip colours - you feel like you're wearing lipstick (I personally quite like it) but if you can resist licking your lips for the first 10 minutes then these lipsticks will last an awfully long time. And I mean it - coming from me that's a very good sign, I chew most lipsticks off within ten minutes. These colours are back to MAC at their best and you should go and get some soon, in all likelihood MAC will discontinue them at some point (as they do with all their collections *sigh*). Stupidly I forgot to take pictures of these before I took the tops off for my lipstick palette (video of that to come soon) but you can see them swatched in my video. *On a slightly different note does anyone else find MAC's online swatches not that good? I'm not being rude - to my tiny brain it is a hard thing to do, match an actually lipstick to a colour on the Internet but even the pictures of the lipstick palettes don't look right - Lady Danger is the red palette just doesn't look like Lady Danger in real life. IS IT JUST ME? At the moment I can't get enough of L'Oreal's Superliner Gelmatic liner which I kindly got sent as part of their Line of Beauty box. Really easy to apply and the ideal size pencil for getting a fine, thick or flicked line, easily blendable and stays put pretty much all day. OK so it doesn't really go on the waterline very easily or thickly but if you don't want that then this is by far the easiest gel liner I've used to date. It is all a screw pencil so no need to faff about with sharpeners - which, with gel liners, is a messy business believe me. 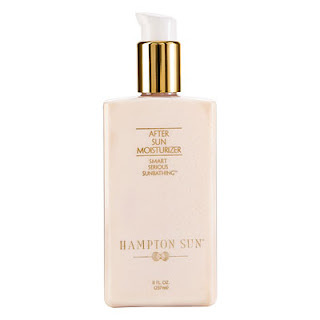 For quick, precise baby proof, non-waterline application this is the one for me at the moment. Still shiny from shopping here's a quick video I did about my recent MAC purchase including some from the new Retro Matte collection. Slightly scary photo - still working out my new camera! We have just been on a much needed holiday in France and, as Ned has inherited my fair skin, I was really worried that he would get sunburn and so spent some time hunting around for suitable sun creams for children under 12 months. 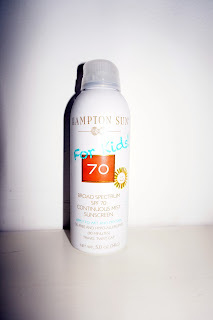 There's a lot to choose from and I took a couple with me but my favourite was definitely Hampton Sun's SPF 70 for Kids. It's not cheap at £33 (but you really can't put a price on your child's health) and the ease of the spray on application and the lovely smell made that rather steep price tag totally worthwhile. In fact it was so easy to apply he was positively giggly about having it put on which made a nice change from the angry shrieking that usually ensues and it was so much quicker. I reapplied this at least every 80 minutes when he was outside and we used it on nephew sometimes as well - there was still some left over and no evidence that he'd been in the sun at all (not a nappy tan line in sight). 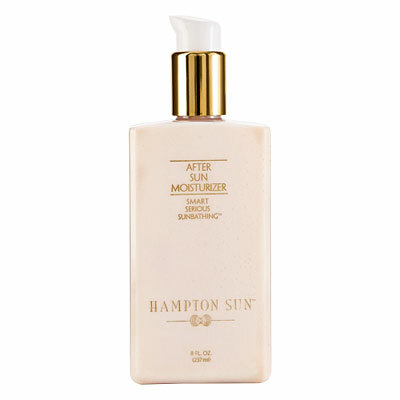 Highly recommended - I'm going to buy a bottle of this at the start of every summer. My friend Jo is getting married and although she is doing her own make-up on the day I've been helping her chose what products to use. One of the products I recommended is Hollow by Illamasqua as a contour. I wasn't able to see her to show her how to use it beforehand so I did a video. Because it's so specific and I needed to film it and get it posted as soon as possible it's a bit longer than normal but hopefully helpful!